Chicken, Chicken Broth, Salmon Broth, Chicken Liver, Salmon, Lentils, Peas, Chickpeas, Salmon Oil (Preserved With Mixed Tocopherols), Ground Flaxseed, Natural Flavor, Dicalcium Phosphate, Guar Gum, Potassium Chloride, Pumpkin, Cranberries, Blueberries, Salt, Choline Chloride, Agar-Agar, Zinc Proteinate, Iron Proteinate, Sodium Carbonate, Thiamine Mononitrate, Vitamin E Supplement, Copper Proteinate, Manganese Proteinate, Sodium Selenite, Cobalt Proteinate, Niacin Supplement, d-Calcium Pantothenate, Vitamin A Supplement, Riboflavin Supplement, Biotin, Vitamin B12 Supplement, Potassium Iodide, Pyridoxine Hydrochloride, Vitamin D3 Supplement, Folic Acid, Rosemary Extract. 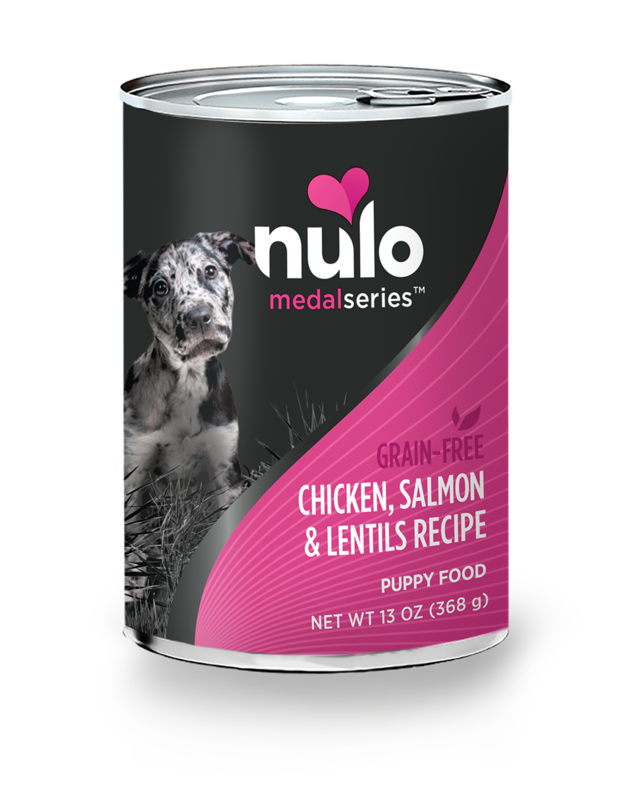 MedalSeries Canned Puppy Chicken, Salmon & Lentils Recipe is formulated to meet the nutritional levels established by the AAFCO Dog Food Nutrient Profiles for growth and gestation/lactation. Puppy: Up to 11 weeks of age, feed as much as your puppy will eat in 3 or 4 feedings per day. 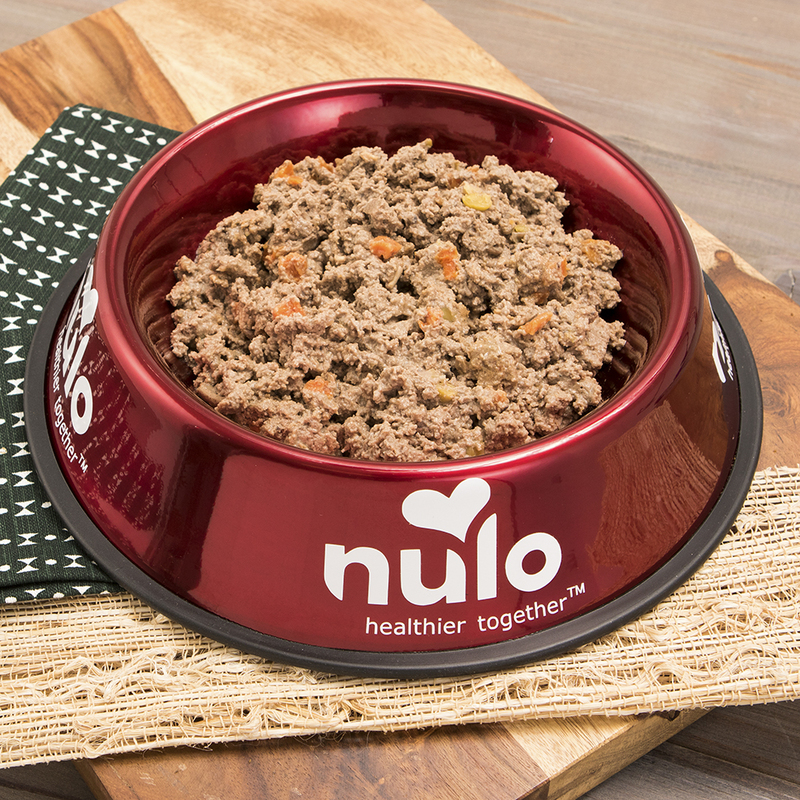 11 to 26 weeks of age, feed ¾ to 1 can per 5 lbs. of body weight per day. 26 to 52 weeks of age, feed ½ to ¾ can per 5 lbs. of body weight per day. Adult: Feed 1 to 1¼ can per 15 lbs. of body weight per day. Gestation and lactation: Feed up to three times the normal adult amount.